Jatnna Amador is a Senior Events Associate at J-PAL North America where she works to coordinate and manage policy-related events. Prior to joining J-PAL North America in 2018, she worked at Harvard College as the Manager of the Student Organization Center at Hilles (SOCH). 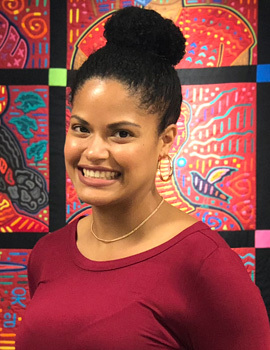 Jatnna holds an MA in higher and postsecondary education from Teachers College, Columbia University, and a BA in communications and Africana Studies from Hamilton College.